Soil is an amazing organ of the planet, all living creatures die one day and they become completely recycled for future uses. Only thanks to this constant recycling can our body can consist of the same atoms as the bodies of dinosaurs and other ancient creatures. Soils represent the most important recycling station in the earth; soil, or specifically soil organisms, disassemble or mineralize dead bodies into primary nutrients and store these nutrients to be used by plants. It can also recycle carbon, store water, and do many other things. Usually, when it comes to soil organisms, most scientists are focused on activity or microbes, which makes sense, as they are superabundant in soil and have unbelievable abilities to digest almost anything. This article, however, summarizes many examples showing that soil animals such as earthworms, millipedes, and many other creatures may importantly modify microbial activity. In many ecosystems, soil fauna can consume a substantial amount of litter fall. In many experiments, we can see that when we measure respiration (release of CO2, which is a measure of biological activity) of fauna and leaf litter hold together, we get a larger number then when we measure respiration of fauna and litter hold separately. This is because fauna stimulates microbial activity in the consumed litter and in young feces. Therefore, when the fauna turns litter to feces, the feces decompose initially faster than original litter and release more nutrients. However, this increase does not take just a few days; old feces decompose more slowly than litter and over a longer period of time – such as a year. Feces decompose more slowly than litter. This was, for a long time, in discrepancy with the observation that when we close dead leaves into nylon mesh bags which have large openings that fauna can go into, it disappears much faster than if the fauna cannot go in. However, this can be explained when we follow not only loss of organic matter from the net but also an accumulation of organic matter in the net. It has been shown that fauna eat the litter, turn it to feces, and feces simply fall from the net or are actively transported by the fauna from the net. The fact that fauna feces decompose slowly means that they may persist in the soil and eventually accumulate in the soil over time. We may view the fauna feces as soil aggregates. Therefore, fauna may contribute to the formation of soil aggregates and, as those accumulate, eventually form the whole soil profile. 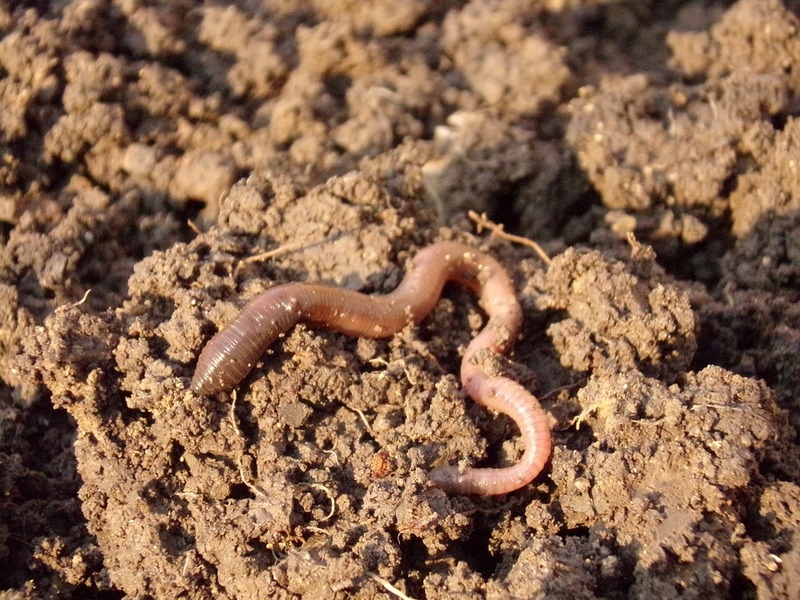 Many of these effects are negligible for one earthworm or millipede, but small changes created by them may cumulate over time and eventually bring substantial change in the whole soil profile. Here we should underline that these changes happen due to an accumulation of very small changes over a long period. In other words, the first earthworm who colonizes the site and starts the whole process will be already long dead when we will see the change in the soil profile. These changes in soil profile then determine how the soil behaves, what microbes it harbors, etc. Soil fauna can also affect the leaching of organic matter from litter water percolation in soil and other processes. This fauna activity corresponds with the type of plants growing on the site. Fast-growing plants may benefit from the high activity of earthworm and other fauna. As this activity releases nutrients and, on the other hand, accumulation of organomineral, the earthworm can form deep soil with the ability to retain water and nutrients. Consequently, the plants have a lot of nutrients available and can grow fast. In other words, if the plants have enough nutrients, they grow fast, produce thin leaves which have a high speed of photosynthesis, but this does not hold long. As the litter is often replaced, a large amount of litter rich in nutrients come into the soil. This stimulates fauna activity increase decomposition but also promotes nutrient storage in the soil; this offers plants a lot of nutrients, which close the loop. On the contrary, if the soil is poor in nutrients, plants try to keep it in their bodies. They produce thick leaves or needles which are often evergreen, thus a smaller amount of litter comes to the soil and it remains poor in nutrients. The activity of fauna is bioturbation and is smaller as there is less food of poor quality. Litter that decomposes more slowly stays on the soil surface, and nutrients can be washed out by the rain, making soil even poorer, which closes the loop. In very rich or very poor soil, the amount of nutrients rule the system. However, in many cases, fauna may completely switch the system behavior. A nice example of that is a change in soil and understory vegetation in mining sites colonized by earthworms or in the North American forest affected by an invasion of European earthworm species. To conclude, soil fauna, even if their direct contribution to soil process may be small, play the role of webmasters of an ecosystem who shift important ecosystem processes.